BBC Proms to be broadcast in lossless audio for the first time | What Hi-Fi? To celebrate the 90th anniversary, Radio 3 will broadcast this year's Proms in lossless audio via the BBC website - at a minimum of 16-bit/44.1kHz quality. The BBC has been broadcasting the Proms for the past 90 years, and to mark its 90th anniversary, BBC Radio 3 will be streaming the entire event in lossless audio - a first for the concert series. 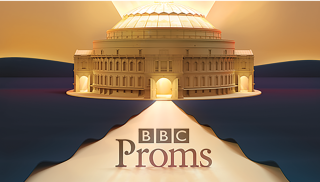 While BBC Radio 3 currently broadcasts in AAC 320kbps, the Proms, which runs from Friday 14th July to Saturday 9th September, will be broadcast in FLAC (at a minimum) 16-bit/44.1kHz quality - CD-quality. You can listen via the dedicated Proms website or on the BBC Radio 3 website. The superior sound won't be available through your radio. According to Alan Davey, BBC Radio 3 controller, "BBC Radio 3 listeners are the most discerning music fans in the world", so hopefully the better audio quality will be appreciated. We'd recommend using a good DAC alongside your computer if you're planning on listening.